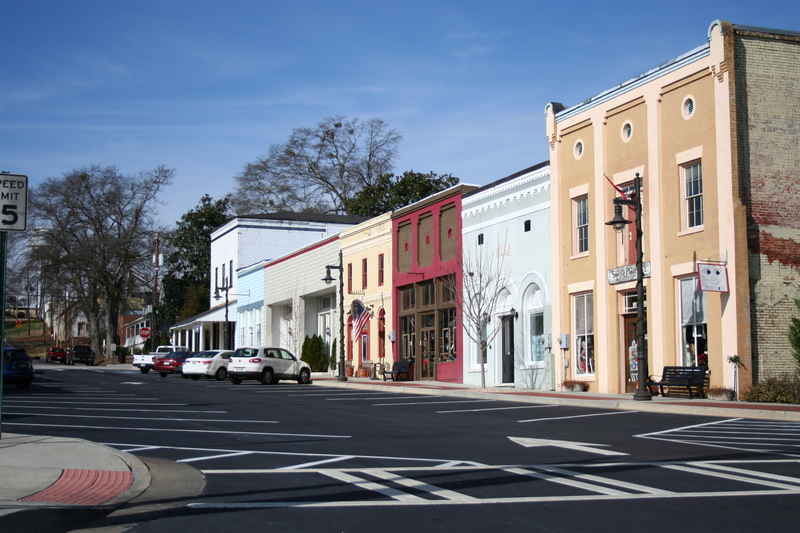 Traveling up from Atlanta may be fine for some Speeding Ticket and DUI Attorneys, but we prefer local knowledge and experience for our Flowery Branch clients. Flowery Branch Municipal Court is located in City Hall, which is just off I-985 in the Historic Downtown Flowery Branch area. 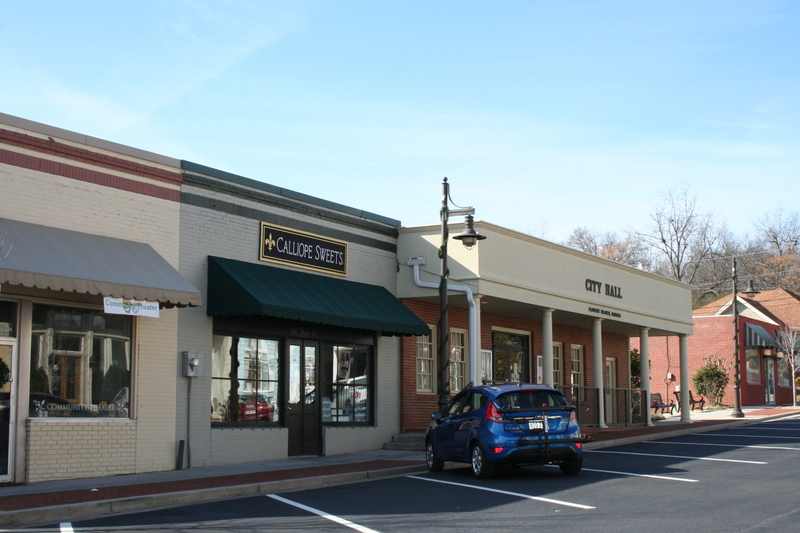 The Municipal Court handles numerous Speeding Tickets, DUI’s, Shoplifting charges and other misdemeanor infractions. 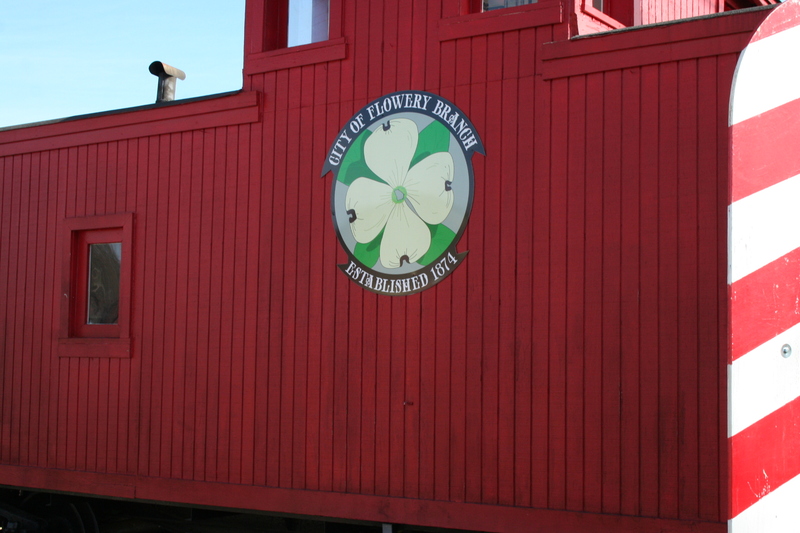 Flowery Branch Municipal Court is a part-time court, which is run by a part-time judge and a part-time prosecutor. Flowery Branch Municipal Court located at City Hall on Main Street. Mr. Breakfield lives in Flowery Branch, so our firm’s connection to the Flowery Branch community is strong. We believe it is important that our lawyers know where to find the courthouse and know the participants. Traveling up from Atlanta may be fine for some Traffic Ticket Lawyers, but we prefer local knowledge and experience for our clients. Main Street shops in downtown Flowery Branch, Georgia. 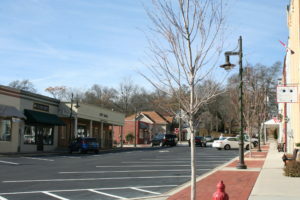 Breakfield & Associates, Attorneys’ office is located just miles from Flowery Branch Municipal Court. If you would like a local lawyer to help you with your ticket in Flowery Branch Municipal Court, please review our practice areas below and please Contact Us. 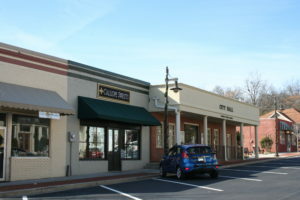 5517 Main Street Flowery Branch, GA. City Hall & Municipal Court. 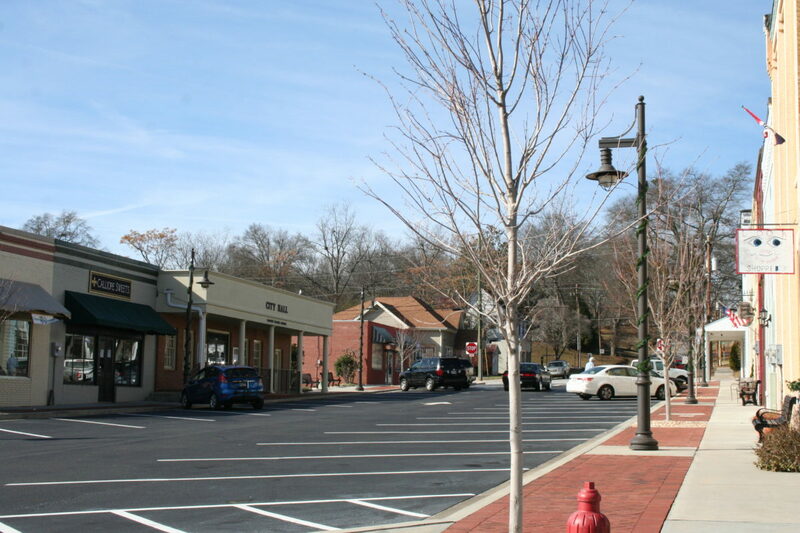 DUI: Driving Under the Influence: Due to Flowery Branch’s proximity to Interstate 985, Lake Lanier and various eating and drinking establishments, the Flowery Branch Police Department make their fair share of Driving Under the Influence arrests. Georgia’s DUI Laws are tough and can have lasting consequences. It is important to have a Flowery Branch DUI Lawyer that can challenge the vehicle stop, the police-citizen encounter and the blood alcohol results. Many times a lawyer can spot issues that a defendant did not even know existed. Marijuana Possession: Marijuana is still illegal in Georgia and the penalties and license suspensions can make marijuana possession a serious matter. If not handled correctly, even a misdemeanor Marijuana conviction can suspend a driver’s license. It is important for an attorney to review the facts and either seek alternative sentencing or fight the charges in court by challenging the stop, police procedures, lab testing and factual innocence. Traffic Tickets/ Speeding Tickets: No body likes a speeding or traffic ticket. A traffic citation can not only costs a large amount of money with the fines and surcharges, but the consequences on insurance and driver license points can make these matters very expensive. Sometimes a lawyer can get the fines and/ or the charges lowered just by letting the prosecutor know that the ticket may become a contested trial or legal hearing. 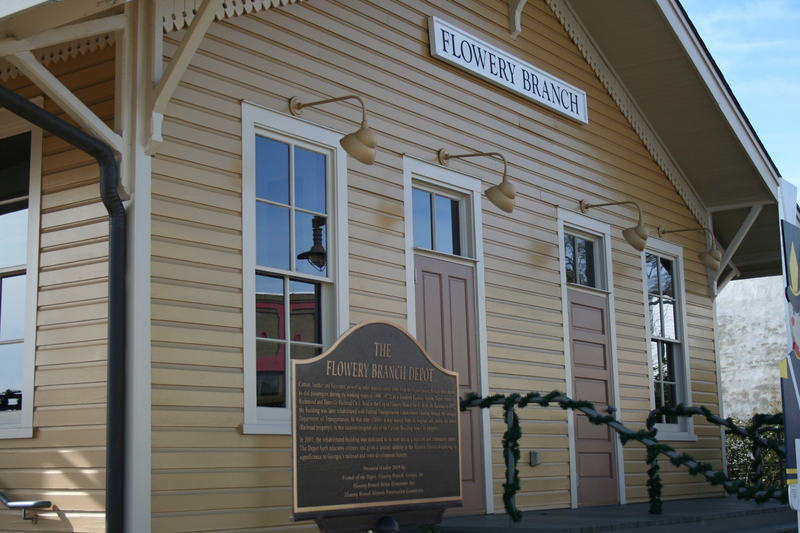 Historic Train Depot in Flowery Branch, Georgia. With a local Georgia criminal defense lawyer at A. Bishop Law, you can rest assured that your Speeding Ticket, DUI, or Shoplifting case is in the right hands. Our Georgia Criminal Defense Attorney welcome any questions about Flowery Branch Municipal Court, Criminal Defense, and Georgia DUI laws. Please Call or Email us with any questions, your initial consultation is free and confidential and we look forward to talking to you about how we can help you with your situation. The Historic Flowery Branch, Georgia, Caboose, built in 1914, is located at Atlanta Highway (SR 13) and Main Street, near the Flowery Branch Municipal Court located in City Hall.